Artist Andrew Haley at Bazaar 125 in East Harlem for #100GatesProject. Image courtesy of the artist. 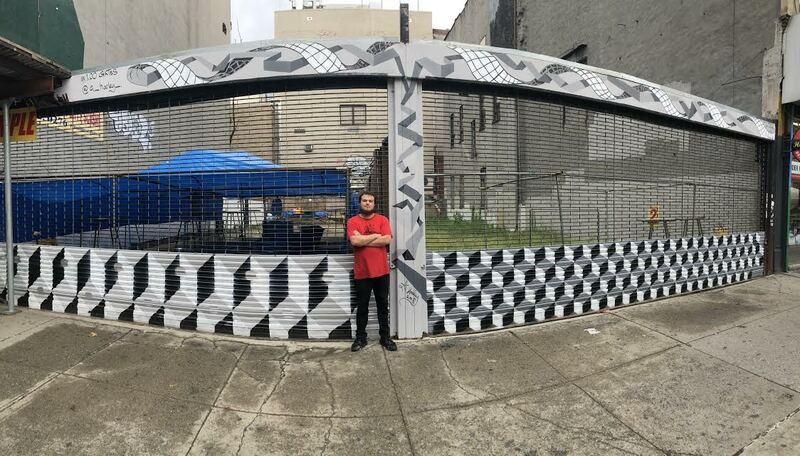 Through Summer, Fall of 2017, and all through the Winter, Spring and Summer of 2018, the artists participating in the #100GatesProject for NHEMA in East Harlem have been painting. While you’re there, check out Tats Cru + col_wallnuts for #NotACrime in a school yard on 127th Street & Madison Avenue.